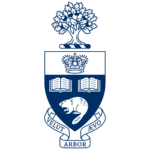 Students are invited to apply to the Computer Science PhD program at University of Toronto, on topics at the intersection of Computer Science and Education. This year, UofT Computer Science made a tenure-track hire who is conducting research on education and learning (Joseph Jay Williams), expanding on U of T’s Computer Science Education research group. PhD candidates can investigate how people learn to program, and other related topics in computing education (the kind of work published at SIGCSE, ICER, etc). They can also do research at the intersection of computer science and education, applying computational techniques such as human-computer interaction, crowdsourcing, and statistical machine learning to the study of education within and beyond computer science (e.g. published at CHI, ACM Learning Analytics & Knowledge, Learning @ Scale, EDM, AIED). Students can apply for the Ph.D/Master’s program in Computer Science and list potential advisors as Joseph Jay Williams (see www.josephjaywilliams.com/prospectivestudents) or Tovi Grossman. (Note that at Toronto, the Master’s is a research program that streams to the PhD. Students who want a professional master’s degree in preparation for industry should apply to the MScAC). Students will be encouraged to collaborate with other members of the Computer Science Education group, the HCI group in the DGP, the machine learning group and Vector Institute, and faculty across the university in areas like computational social science, psychology, education (OISE), public health, and public policy.